Ominous, muddy pastel captures the palette of the beachfront in the aftermath of Superstorm Sandy and the remnants of the historic wooden boardwalk, gone forever. In 2013 Hurricane Sandy spun a tale of terror and destruction across the Northeast Coast, and one of the worst places hit was Rockaway Peninsula, Queens, New York City. Because my family has a stake there we were there right after the storm, to reach out and help, to comprehend, to hike the rubble of the waterfront in silence. 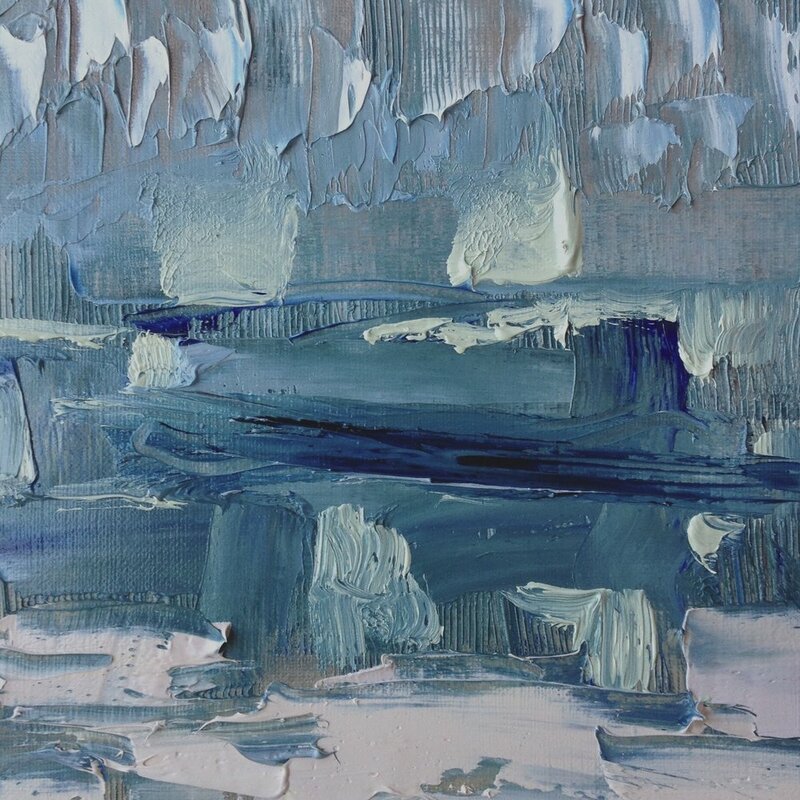 I made a series of paintings in a fury of days in response – in different sizes from 5 x 5inches to 26 x 36 inches- staring out on the beach from a cat bird seat, alone, facing the ocean a few stories up from the eerie concrete pilings, which was all that was left of the seven miles boardwalk. Oddly, the concrete pilings resemble the hatch marks I often use in my work. The paintings are all done in oils, wet into wet with palate knives and brushes, and I tried to capture the paradox of beauty through devastation. While the storm had subsided when I began to paint, most of the work represents the energy of the storm itself and some, the feeling of the aftermath. 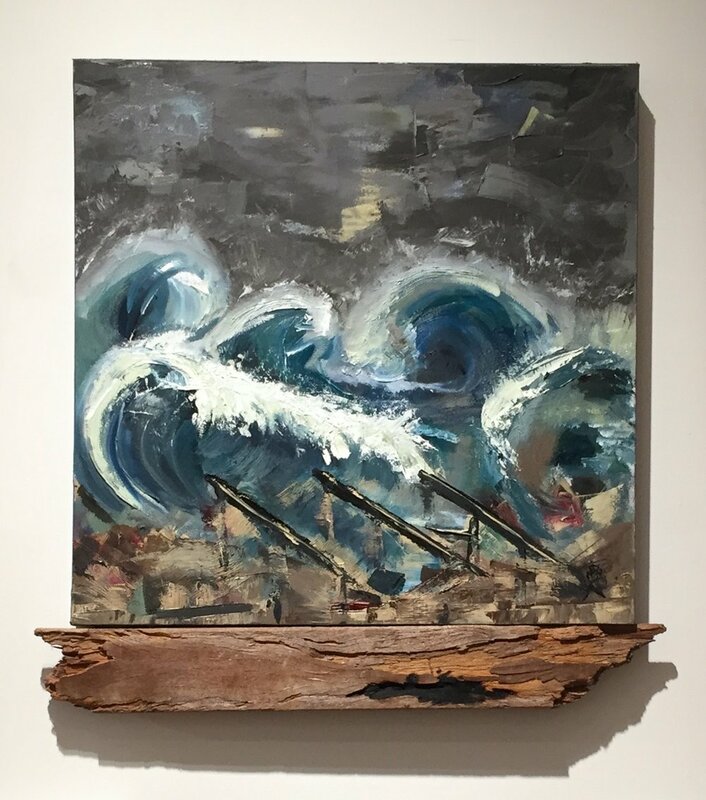 “Homage to the Rockaway Boardwalk After Sandy” incorporates a piece of the boardwalk, which had been there since the 1920’s. It is now rebuilt, in concrete. “Beach Music” was the last piece I did on site over those days, responding to the calm sound of the waves. The pastel painting "Presence" was a study done a week or two later in my studio and best represents the emotional palette of the storm’s immediate aftermath. 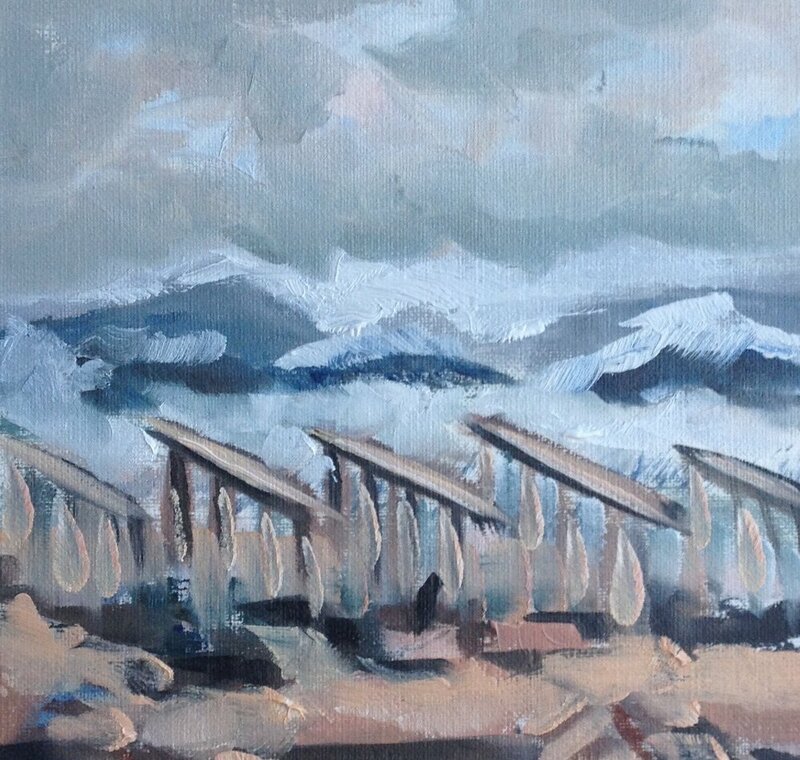 The oil sketch “Sandbags at 124th” was done a month later, when beach-going activity resumed and huge black plastic sand filled barriers were installed as temporary protection from future storms. This work was first exhibited at “Artsplash”, Rockaway Artist’s Alliance in 2014. “Sandy as Sea Monster’ was awarded Best Oil Painting.